Lower limb amputees across the country have had a unique, dramatic and, for some, traumatic summer. On July 16, 2015, Medicare Audit Contractors released a new proposal to the Medicare Local Coverage Determination (LCD) Proposal: Lower Limb Prostheses (DL33787) that would eliminate and/or stringently limit benefits for prosthetic devices. It would also relegate prosthetists, on whom amputees rely for their care and safety, to mere salespeople. Written in an attempt to thwart fraudulent claims, the proposal goes much further than deemed necessary, irreparably and dangerously affecting a vast number of lower limb amputees—far more than were guilty of supposed fraud. It would fundamentally alter amputee care, rehabilitation, and device delivery and technology. Some of the drastic changes laid out in the proposal state that lower limb amputees would be limited to only one prosthetic device or durable medical equipment per lifetime. This leaves children born with limb difference, young survivors of limb loss, pregnant mothers who require maternity sockets, and athletes, just to name a small few, in the lurch as they require new prostheses as they age and for different activities. A prosthetic "device" could mean one component of a prosthesis But there are many, especially for above-knee amputees. What's more, "durable medical equipment" can include walkers, crutches and canes. Broken down, this one small part of the lengthy proposal means that Medicare would likely not cover the cost of both a pair of crutches and one component of a prosthetic device. 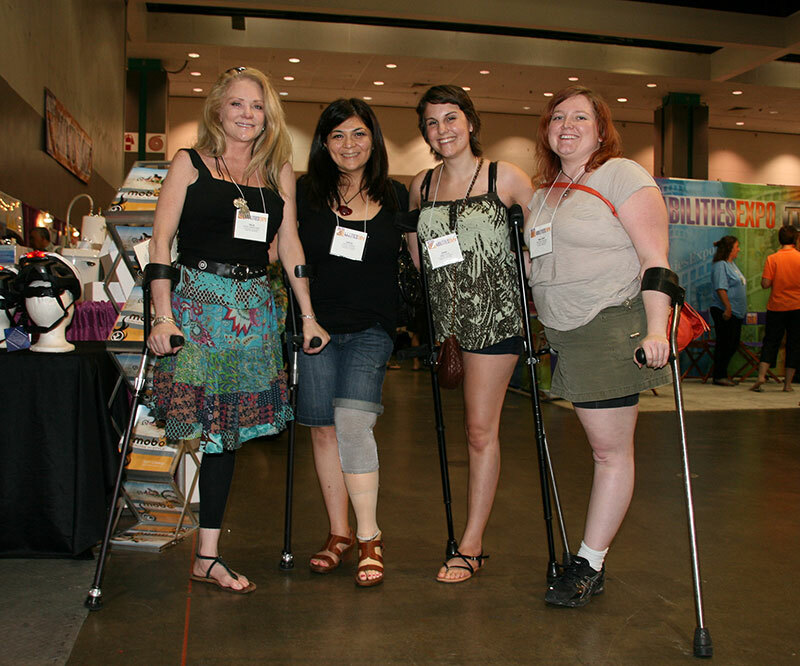 The reality is that most amputees rely on crutches, walkers, canes, and wheelchairs in addition to their prostheses. It also states that coverage for a prosthetic device would be limited if the benefactor already owns any other durable medical equipment. Furthermore, according to the proposal, new amputees would need to complete a set of tasks and "prove" their need for a prosthesis. The Medicare verbiage suggests that they will evaluate an amputee's ability to accomplish a "natural gait" and he or she must be able to don and doff their devices unassisted in order to earn a prosthetic device. 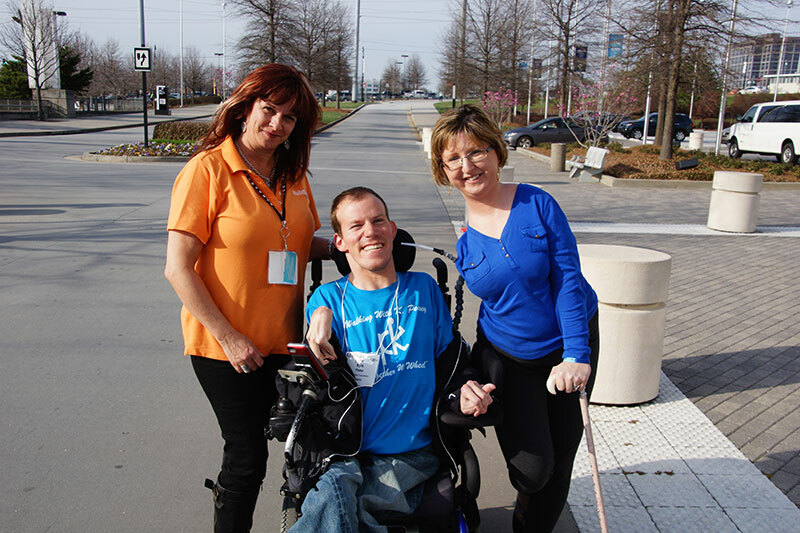 Daniel Ballarin, a prosthetist in San Francisco, CA, explains, "I find this problematic because I have had patients with disabilities where they cannot get out of a chair alone, but, with help, they can stand and then walk unassisted with a walker. Putting patients in a box with well-defined borders seems problematic to me. If someone is missing an arm and is an [above-the-knee amputee] as well, it may be difficult to get up, but once standing could walk unassisted. These people will suffer due to rules like this, and I don't know how much money Medicare would actually save." Furthermore, only an amputee's ability at the time of evaluationwould be consideredrather than what the amputee might be potentially capable of with the aid of a prosthetic device. In addition, amputees would be rated by ability, and reimbursement would be guided by the amputee's functionality. In short, reimbursement for any device would be limited if said amputee is considered "too disabled" or "not disabled enough." But if—and that's a big "if"—an amputee were to be approved and reimbursed for a prosthetic device, the Medicare proposal states that the amputee will receive the bare minimum, only the technology that would assist the patient just enough to get by. A move like this would set back prosthetic technology back by decades. In the same month that the disability community celebrates the 25th anniversary of the passing of the ADA, it was tragically ironic that amputees were coping with the possibility of receiving financial help for sub-par devices. But the absurdity of this proposal doesn't end there. In addition, the advice and expertise of prosthetists would not considered in prosthetic device applications. Rather, only the word of a separate medical professional who will have no financial stake in the transaction would be taken under advisement. The one medical professional with whom amputees have the most intimate and crucial relationship is relegated to the status of salesperson. In 2009, a 60 Minutes report aired concerning fraud and abuse in Medicare relating to prosthetic devices. Congress then commissioned a study through the Office of Inspector General (OIG) to determine the extent and impact of fraud and abuse with respect to prosthetic devices. In 2011, the OIG published a report titled "Questionable Billing by Suppliers of Lower Limb Prostheses" that claimed that prosthetic device fraud and abuse was a concern. Medicare commissioned auditors to review past prosthetic claims to try to recoup any payments that were deemed to be inappropriate. These audits have been particularly aggressive and many prosthetic offices have had thousands of dollars taken back by Medicare for devices that have already been delivered to patients. The sobering realization set in to members of this differently-abled, 2-million strong subset community as they realized that the U.S. Department of Veterans Affairs as well as private insurance companies traditionally follow Medicare's lead. In a very dark and not-too-distant future, no lower limb amputee—regardless of insurance coverage—would be able to receive financial assistance for much-needed prosthetic devices. Faced with this possible reality, the community reeled. One man said wistfully that he'd most miss going fishing with his grandson. Another woman shared that, in just the few months that her husband had had his prosthesis, her own quality of life as his caregiver had improved tenfold. His prosthesis liberated her. How, she wondered aloud, would other families cope if the proposal passed? Their only recourse was to invoke the power of petition! A minimum of 100,000 signatures obligates the White House to issue a formal response to the petition. Those 100,000 signatures were a means to buy more time before the proposal passed, but they were not the end of the fight. They're Not Gonna Take It! Amputees all over the world spoke out against the proposal, launching the "Not A Luxury" campaign, which sought to send the message that prosthetic devices, in addition to wheelchairs, crutches, walkers, and other prosthetic accoutrements are absolutely necessary to the physical and mental health and well-being of millions of amputees. Emblazoned with #notaluxury, hundreds of amputees around the world took to social media to post videos and photos of themselves as active, contributing members of society, made possible by their prostheses. Former Governor of Nebraska and U.S. Senator Bob Kerry, a below-knee amputee due to a combat injury as a Navy SEAL in the Vietnam War, issued a thorough, poignant letter to U.S. Department of Health & Human Services Secretary Sylvia Mathews Burwell that eloquently covered the ethos, logos, and pathos of the matter. After illustrating that the total spending on prosthetics is far less than other healthcare areas, he hit a home run with, "We should not make amputees prove they are poor and promise to stay poor in order to be eligible for Medicaid. We should not make them hope to work for the right employer in order to get income tax subsidies. We should not make them get blown up in a war. We should change the law so that all they have to prove is that they are an American citizen and that they are missing a limb and would like a prosthesis; that should be enough." At 11:08 am on August 17th, less than a week after the launch of the #notaluxury campaign, the goal of 100,000 signatures was reached. The proposal's passing was successfully stalled. The fight didn't end there, but rather, had just begun. On August 26th a public hearing was called in Linthicum, MD, allowing community members to speak to Medicare officials directly. Attendance at the hearing exceeded expectations, the location for which had to be moved to accommodate the more than 200 amputees and allies on site and more than 400 attendees via teleconference. In attendance was Adrianne Haslet-Davis, a professional ballroom dancer, but perhaps better known as one of the Boston Marathon bombing survivors. Graceful in her words as in her dancing, she laced her speech with dance references, punctuating her sober story with a bit of humor. She exclaimed to the Medicare panel, "What the foxtrot are you doing to us?!" After the hearing and rally that followed, the Medicare proposal was still open for public comment, though only comments submitted in writing would be considered. For five more days, the amputee community made a final push to submit as many letters as possible. As of the August 31st deadline, more than 5,070 patients and O&P professions submitted comments and sent postcards. 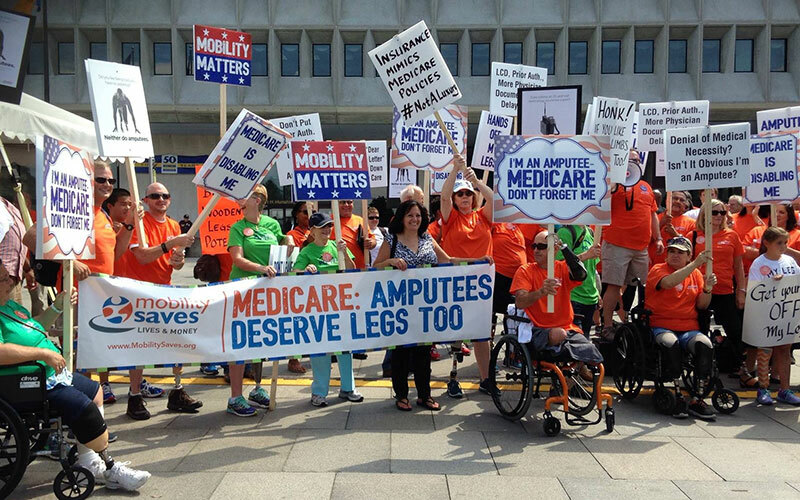 Also on August 31st, the amputee community got a final boost of support as nine researchers cited in the Medicare proposal sent a joint letter to the HHS asking to be removed from the proposal's bibliography and disavowing the use of their research in the proposal. The letter states, "The current standard of practice is fully supported by sound, (peer-reviewed) scientific evidence. The changes proposed are not consistent with the current standard of practice and not derived from consultation with any of the referenced authors." The researchers go on to say, "The proposed changes … in our expert opinion, would diminish both the quality and access to prosthetic care across our nation. We, as the experts cited in this document, wish to go on record as strongly opposing the draft [rule]." This letter is crucial to the cause, as the Medicare proposal to restrict care for amputees can only be made if it is supported by the best available scientific findings. With how much of a whirlwind the summer was for amputees and their allies, the work is far from over. People of all abilities are encouraged to contact their congresswomen and men to voice the importance of amputee care and rehabilitation and prosthetic device coverage and technology. One might argue that the auditors of this proposal proposed something so absurd because they are simply unfamiliar with the life of not only an amputee, but the lives of millions of differently-abled people across the country. So, yet again, people with disabilities must also become educators and share with the powers that be—or elect into power representatives who are already familiar with our daily strufggles—so that there is no confusion as to the needs of Medicare, VA, and privately insured benefactors and their families. As of right now, the next step is up to Medicare. 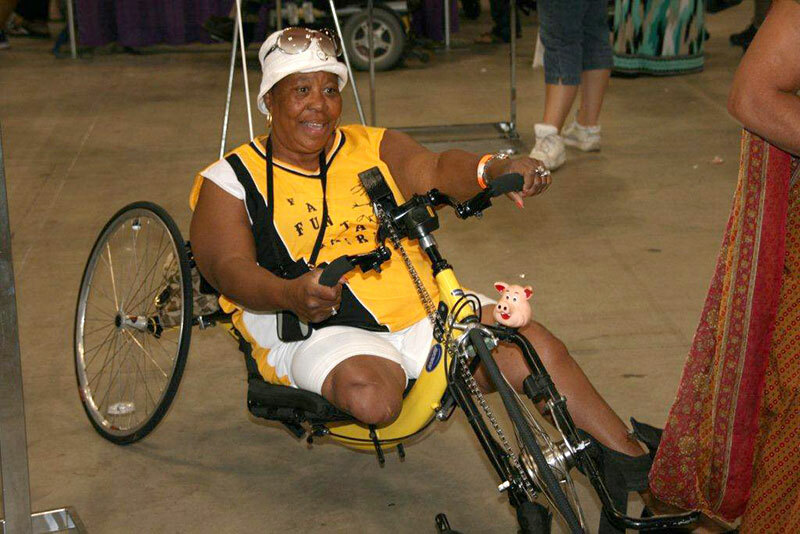 Kim Lan Grout is an above-the-knee amputee, wife, mother, writer, editor, photographer, educator, small business owner and recent Durham, NC, transplant. What most people would consider her disability, she considers her liberation; she chose to have her leg amputated at the age of 18 after a very long, painful saga that started with a congenital vascular syndrome called Klippel-Trenaunay-Weber Syndrome. She can now do things post-amputation that were the stuff only her pre-amputation dreams were made of. It is with this love for life and love for her "broken" body that she seeks to bring her creative project, Redefining Disabled, into fruition. 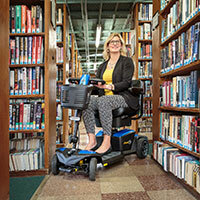 Kim Lan spends much of her time writing about and researching her family's incredible history, pursuing better race relations and women's rights, regaling anyone who will listen with anecdotes of amputee-dom, and raising her 4-year-old and 2-year-old daughters to be confident, compassionate and happy women—things her disability has taught her.